Medford, NY (December 12, 2018) – Late Tuesday night, December 11, a fire was reported to have torn through a home on Long Island, resulting in the death of one individual while injuring two firefighters. Authorities stated that the flames broke out at the home on Oregon Avenue at around 11:00 p.m. Firefighters and emergency medical crews were immediately dispatched to the location as the quickly spreading fire caused a portion of the house to collapse. Tragically, an adult male who has been identified as Neil Storan was found deceased inside of the home after the fire was extinguished. Two firefighters were reported to have suffered at least minor injuries as they were transported to Long Island Community Hospital in East Patchogue. Storan will be fondly missed by his two daughters, ages 16 and 11, as well as his neighbors among other family and friends. The cause of the fire is currently under investigation at this time. We would like to offer our sincere condolences to the loved ones Neil Storan, first and foremost. We also wish for the full recoveries of both injured firefighters as we extend our appreciation to all of the New York firefighters who risked their lives battling this fire. Fires in New York often prove to be fatal as they are one of the most terrifying situations that anyone can face. Following such a harrowing situation, it is terribly important to know that you may have the right to be compensated for your losses, particularly if the event was caused by another person’s negligence or criminal behavior. At Hach & Rose, we are passionate about helping those who have been affected by the behavior and inattention of another party or entity. 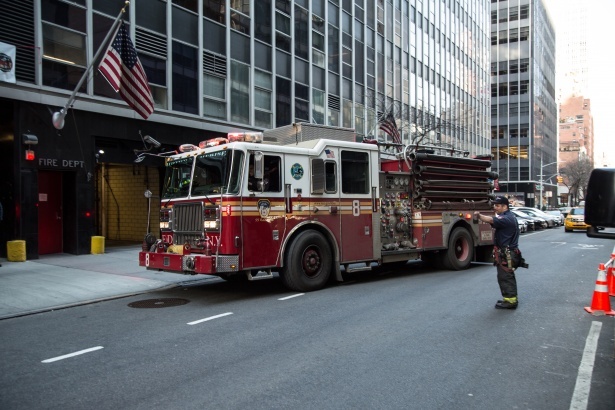 If you have lost a loved one or suffered injuries in a New York fire or explosion, call 212-779-0057 and let us put our immense experience to work for you today.